Biggest Pokeball I’ve ever made! So this bag was a custom order. 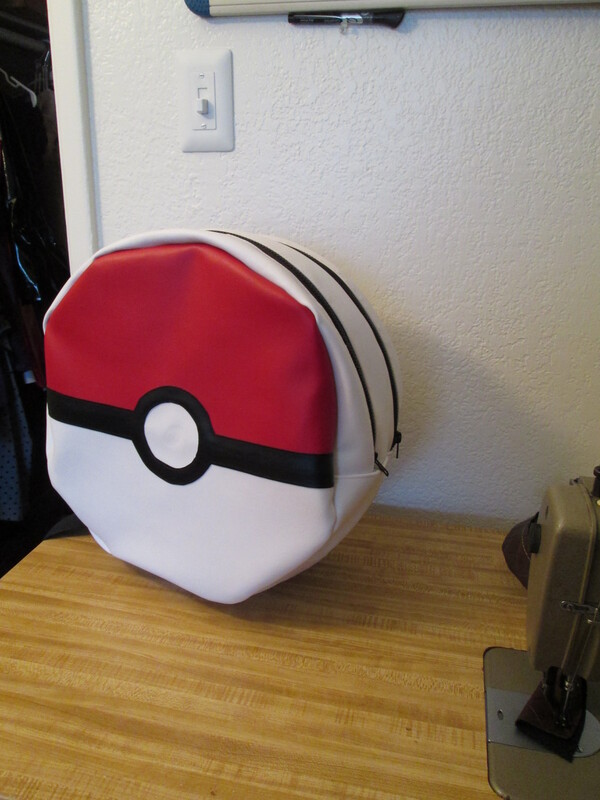 Its a bigger more awesome version of the Pokeball backpack I make. First off it’s a whooping 16 inches in diameter, then it’s a total of 6 inches in depth. The original is only 12″x 2″. 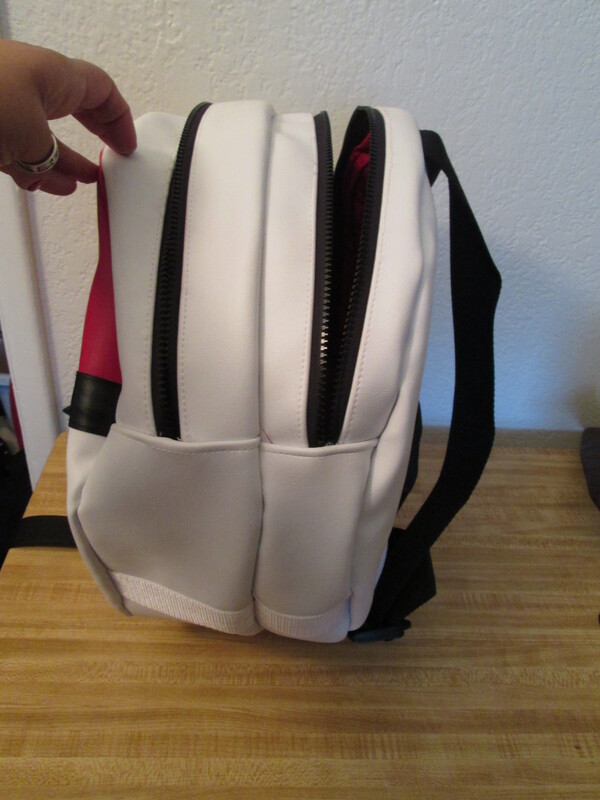 Then they wanted a pocket for a laptop, so instead of just putting a pocket inside it, I decided to do one better and do a double compartment. 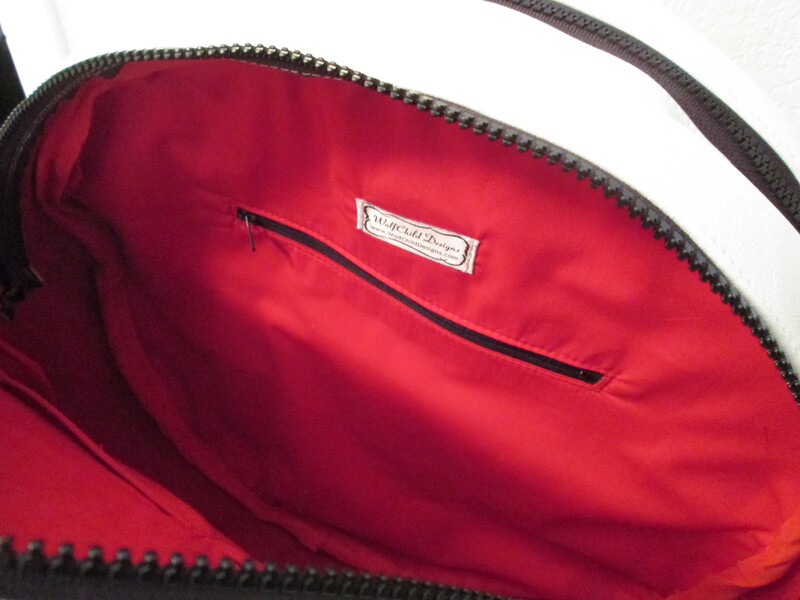 This was a better undertaking than I realized because of all the layers involved in the bag. I reinforced everything with a layer of denim to cancel out the vinyl’s stretch, then a layer of cotton so it will look nice on the inside. For the laptop compartment I did a layer of batting for extra protection. After all that I did strips of 1 1/2″ wide nylon webbing across the bottom to make sure it could hold the weight of books. 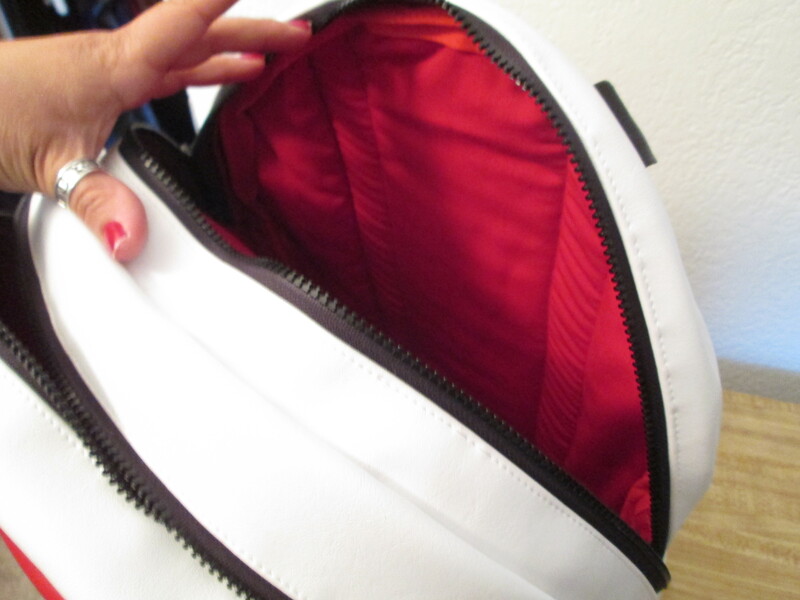 Wow was it ever hard to get those seams in my sewing machine. Even with my Juki machine it barely cleared the presser foot. If I had have my walking foot machine a week ago this would not have been a problem. But that’s for another post. This bag is awesome and I wish I could keep it but its for a wonderful customer. I hope he loves it as much as I do, it was such a labor of love to make it.